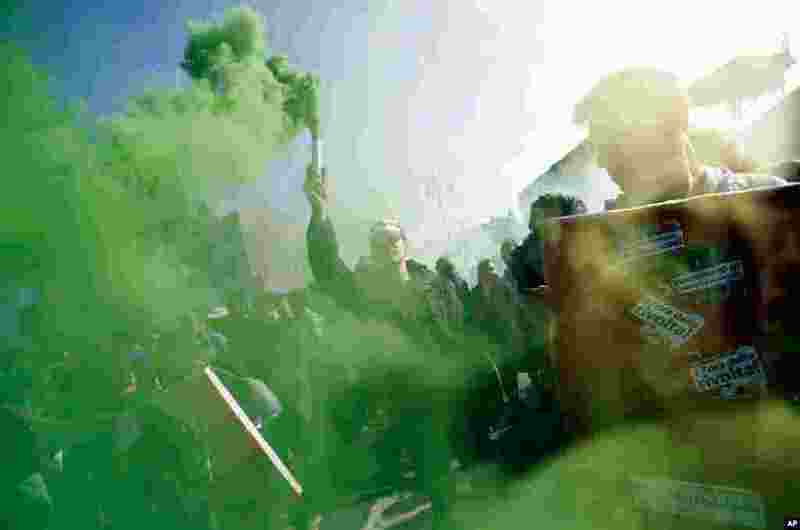 1 A student holds a lighted torch during a demonstration against austerity measures in downtown Rome, November 14, 2012. 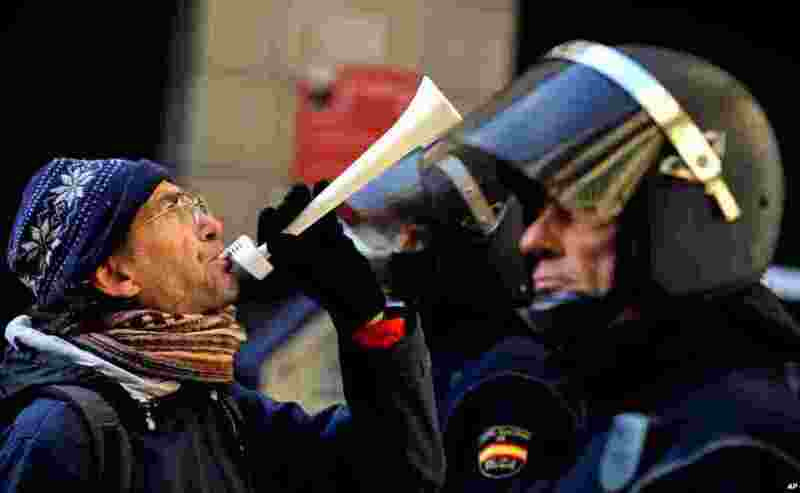 2 A demonstrator blows a horn in front of Spanish riot police during a strike against government austerity measures in Pamplona, Spain, November 14, 2012. 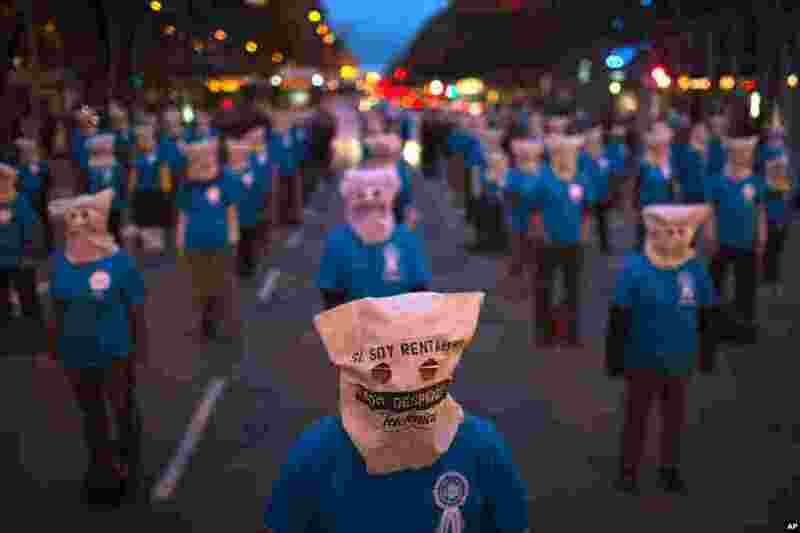 3 Workers from Telefonica phone company take part in a demonstration against the unjustified dismissals at their company in Barcelona, Spain, November 13, 2012. 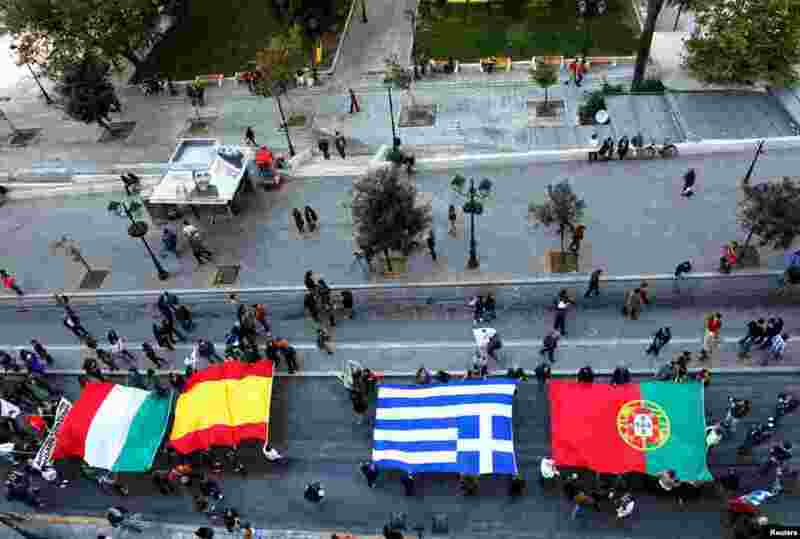 4 Protesters march through Syntagma square in Athens with flags of Italy, Spain, Greece and Portugal, November 14, 2012.